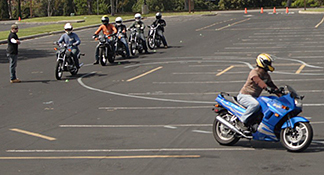 The class may count for defensive driving (traffic ticket dismissal), insurance discount, dealership discount and tuition reimbursement from some motorcycle manufacturers. 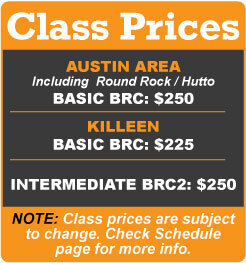 Interested in taking a special BRC2 Group Class with your friends and motorcycling family? Contact us for more information! If you are over 18 years of age you must bring your driver’s license or photo I.D. In addition, you are required to bring our signed course waiver form with you. *PDF file will open in a new window. If you are between 18-24 years of age AND still have a permit, then you must prove you have passed at least the Driver’s Education classroom portion by bringing Form DE-964 to class. If you are under 18 years of age then you do not qualify for this course. You MUST provide: DOT approved helmet (we have helmets available to borrow if necessary), eye protection, full finger gloves (leather preferred), long sleeve shirt or jacket, full-length non-flare pants, and over the ankle boots. If you fail to bring proper equipment and clothing you will NOT be allowed to ride. Please bring a snack and something to drink. Review our REQUIRED gear page. 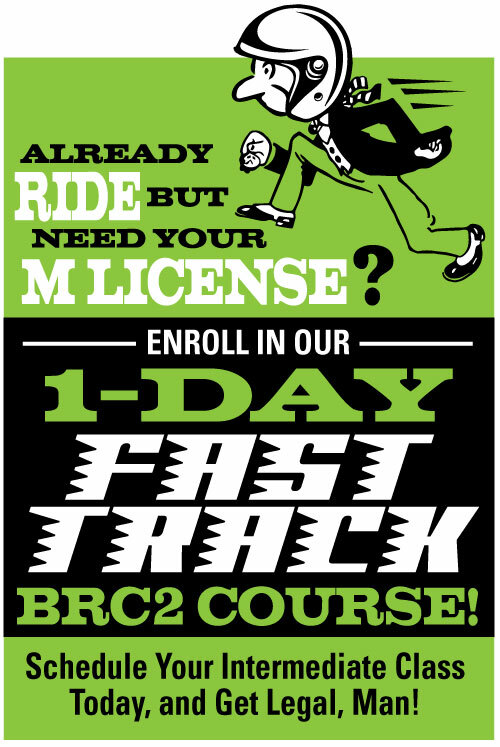 show proof of vehicle ownership, registration, insurance and pass TCLOCS Pre-Ride Inspection Checklist by your RiderCoach prior to the start of class. You MUST have a motorcycle that is suitable for training using MSF’s T-CLOCS Inspection Checklist.